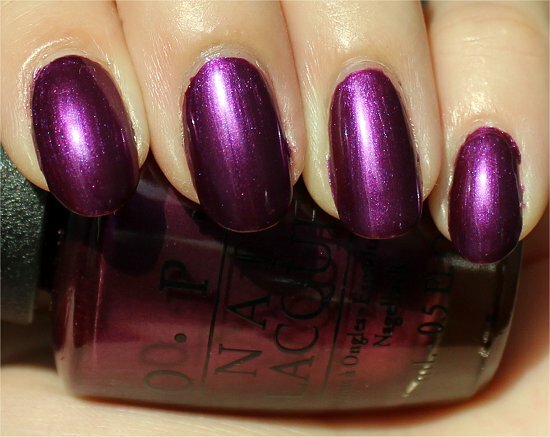 This is another glowy polish from the OPI Germany Collection. If you’re a purple fan, you’ll probably like it. 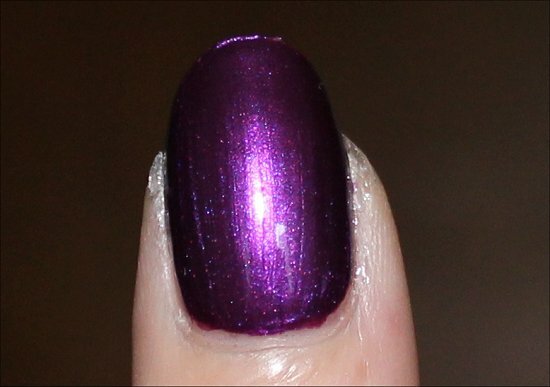 But if you have a collection of purples already, it may not ring terribly unique. 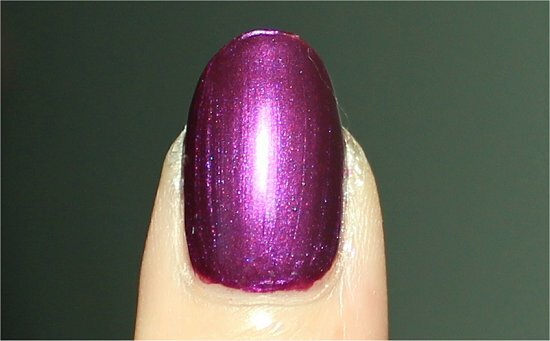 This jewel tone is the colour of royalty, and people with very different skin tones can pull this one off. 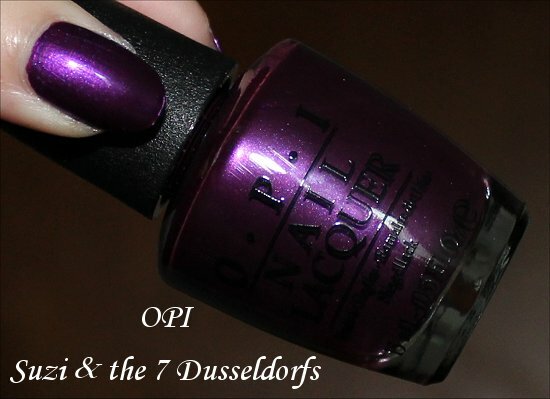 Colours Available in the OPI Germany Collection: Suzi & the 7 Düsseldorfs, Don’t Pretzel My Buttons, My Very First Knockwurst, Berlin There Done That, Don’t Talk Bach to Me, Nein! Nein! Nein! OK Fine!, Unfor-greta-bly Blue, Every Month is Oktoberfest, Deutsch You Want Me Baby?, Danke-Shiny Red, German-icure by OPI & Schnapps Out of It! This is a purple that I feel is incredibly easy for anyone to wear. It’s not too bright to be flashy, and it’s not so dark that it’s sombre. 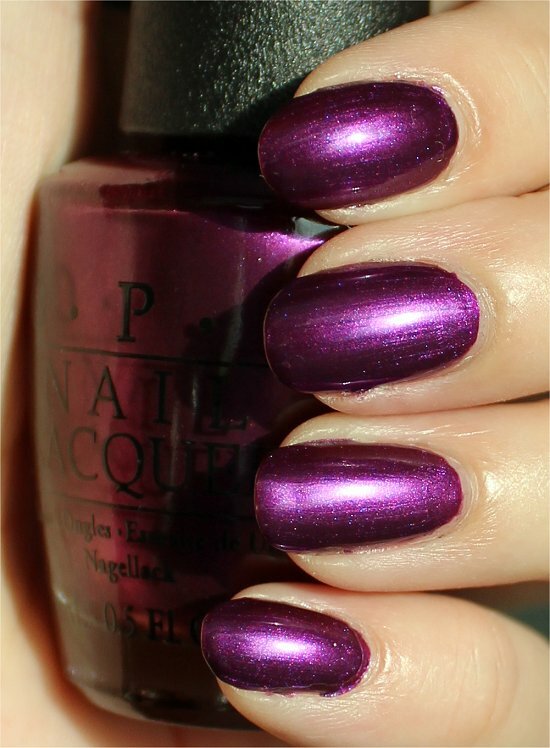 It has a lovely shimmery finish that has a glow to it like many of the other colours in the OPI Germany Collection. 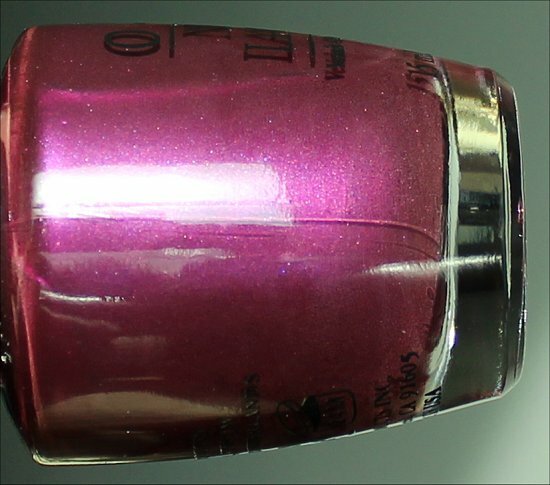 You’ll love how the fine shimmer dances on your nails in the sun. And even if you’re stuck in a cubicle for the work week, it still looks lively under artificial lighting. This one was very runny. Take your time, and apply thin coats so you don’t flood your cuticles. 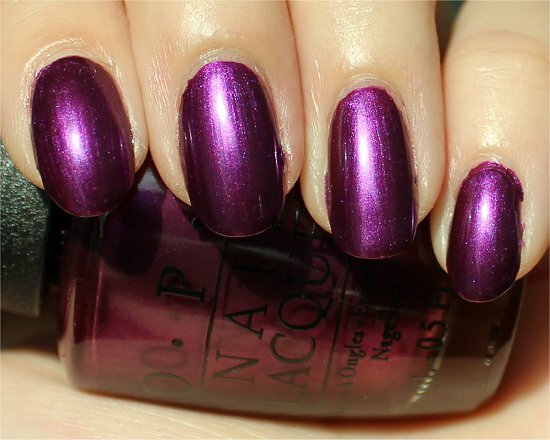 I found that Suzi & the Dusseldorfs by OPI wasn’t quite as pigmented as the other colours I tried in the collection, but it also wasn’t sheer. You’ll just need 2 coats for full coverage. 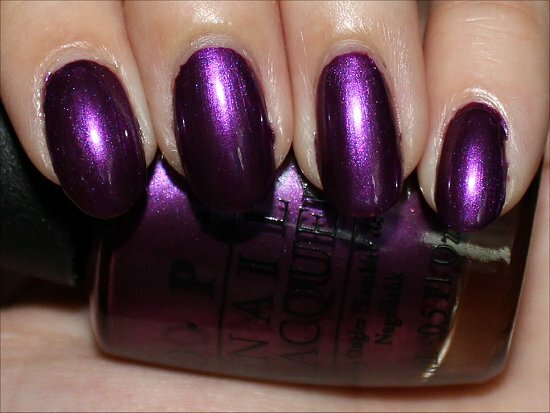 What’s your favourite purple polish? 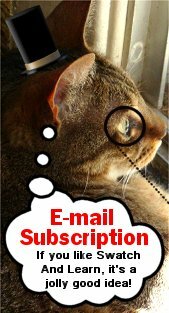 Does a runny formula deter you from buying a lacquer? This entry was posted in Nail Polish Swatches & Reviews, Product Reviews and tagged OPI on July 11, 2012 by Mary S.. This is stunning on you Mary!! Too bad about the formula. I am usually deterred from a polish with a runny formula. It’s too much work! 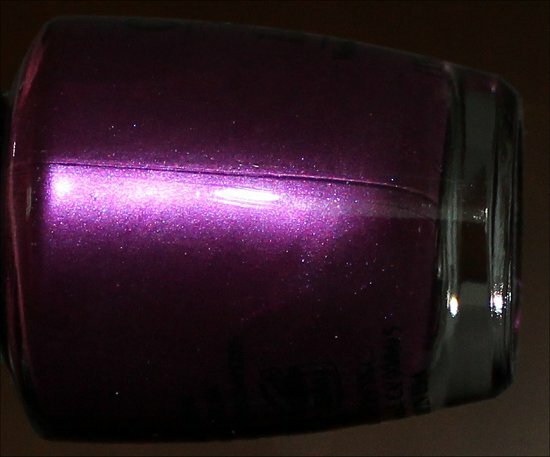 Hmmm… My favorite purple (right now) is Revlon Lily. A beautiful pastel! I’ve found that as long as you use thinner coats, this one was easier to apply. It’s just that I tend to use medium coats, so I had to alter my polishing technique a bit. Revlon Lily looks gorgeous! You pull off pastels so well…and well, practically every other colour. I love seeing the girly shades on you. I have trouble pulling those off. Which two other purples did you buy? I really like your justification for getting this polish. You’ve just made a lot of nailphiles proud…hehe! Yes, that’s a good point – save your money for something you REALLLLLY want. 🙂 The amazing thing about polish these days is that there’s really something for everyone. I remember back in 2000 when I was in high school, there weren’t nearly so many colours or even finishes to choose from. And even the drugstore brands are branching out so much – it’s refreshing. Now everyone has no excuse not to express their individuality! I do like this color quite a lot. 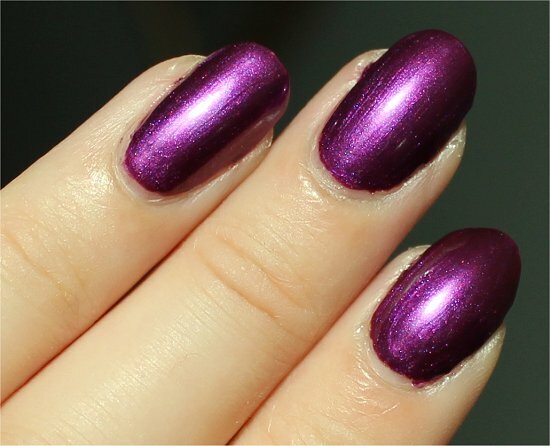 I feel like OPI doesn’t do straight-up purple as often as other brands, so this polish was a pleasant surprise for me. The runny formula isn’t really a turn-off, since I know it’ll thicken up over time (like my Black Shatter did, haha…I went to use it last night and the whole thing had dried to a solid lump inside the bottle! Seche Restore saved the day :)). 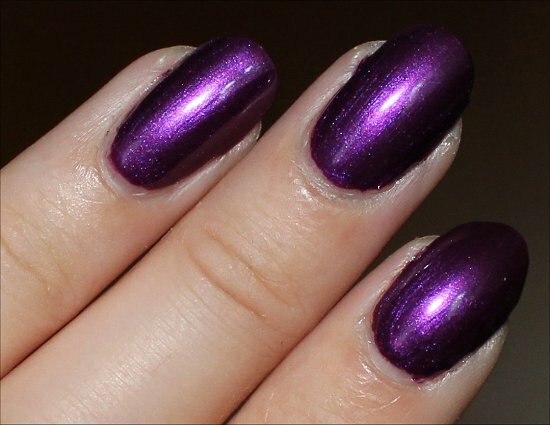 Hi, love your swatches, I like this purple but it looks a lot lighter in sunlight, I the like the darker version better. I have been looking for a darker purple but I may have to see it in person. Yes, the sun really lightened it up, didn’t it? Hope you like it in person! Great colour. Reminds me a lot of my Julep polish in Morgan! Hey Mary, im german (well… not but i speak german) 😀 and “suzi & the 7 dusseldorfs” isnt the german version of snow white and the 7 dwarfs ;D (its “Schneewittchen und die sieben Zwerge” – doesn’t exactly roll off the tongue eather but anyways 😉 the name of the polish is a pun between snow white (maybe becuz of the brothers grimm who were germans), dusseldorf (a city in germany) and suzi weis-fischerman (opi’s artistic director). 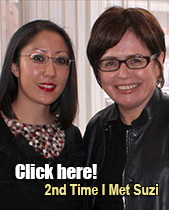 Love u and ur blog, your amazing ! keep doing !